Medianews - Prosecution’s witness interrogated at the hearing on the case of Iberia license seizure"
The hearing on the case of Iberia TV closure and the seizure of the broadcasting license has been resumed with the examination of the evidence presented by the prosecution. 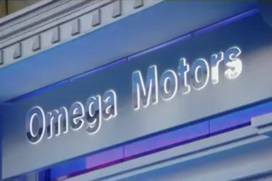 Nikoloz Asanidze, who currently occupies the position of the director of OGT, the company belonging to Omega Group, has been interrogated as the witness of the prosecution. Nikoloz Asanidze chaired the OGT enterprise in February 2004, when the Omega Group was raided by the riot police. As the witness stated during the interrogation, one of the four shareholders of Iberia TV, was the representative of Maven International controlling 25% of company shares. 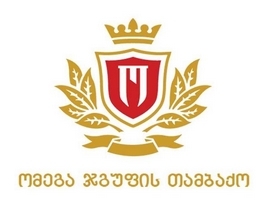 As for the issue of seizure of Iberia broadcasting license, the witness said that he had to sign a document on giving up the license and it was Zaza Okuashvili who told him about this; according to him, the further details of the deal was reported to him by the representative of OGT, Levan Agdgomelashvili. 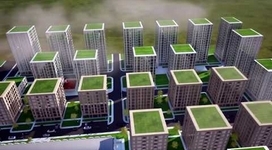 “He told me that this had to be done because otherwise the enterprises would not resume to operate and he told me that Agdgomelashvili would explain further details”, – Asanidze recollected his telephone conversation with the founder of Omega Group, Zaza Okuashvili. As the witness said Agdgomelashvili told him that he had been summoned to the Prosecutor’s Office, where he met with the deputy prosecutor and got the instructions on giving up the broadcasting license of Iberia for restructuring of funds and resumption of the company’s work. According to Asanidze, Agdgomelashvili informed him that the corresponding documents would be signed at the notary office of Nunu Ginturi located on the Kostava Street, Tbilisi. He also said the former chairperson of the Communications Regulatory Commission, Dimitri Kitoshvili was also present at the process of share transfer. 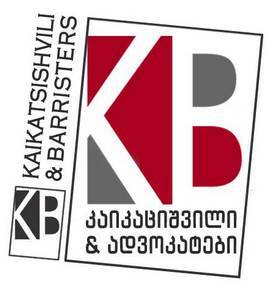 As for the process of registration, Asanidze said there were two other persons representing Omega – Aleksandre Latsabidze and Letevan Pankvelashvili, who signed the documents then – the shares were transferred on Davit Kakauridze, whom, as the witness asserted, he did not know and had never met before. The defense at the hearing expressed their position regarding today’s testimony – Giorgi Chiviashvili, who defends the interests of Zurab Adeishvili, said after the hearing that Nikoloz Asanidze did not have answers on the questions of the prosecution and failed to recollect details. In his turn, the prosecutor of the case, Emzar Gagnidze said he got full answers on his questions by the witness today. “The witness talked about all factual circumstance in details and had full answers on all questions, specifically, on the issues related to the give up of the Iberia broadcasting license”, - Prosecutor Emzar Gagnidze told journalists after the hearing. The next hearing on the same case has been appointed for 10 AM on December 1. The hearing will be continued with the presentation of the prosecution’s evidence. It should be noted that the Prosecutor’s Office announced the case of Iberia TV closure and the give-up of the broadcasting license investigated earlier in February. According to the investigation body, former prosecutor general Zurab Adeishvili and his first deputy Giorgi Latsabidze have been prosecuted for this crime.